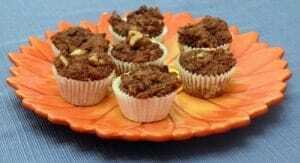 Gluten-Free Cocoa-Nut Muffins--Grain-Free Magical Bites! 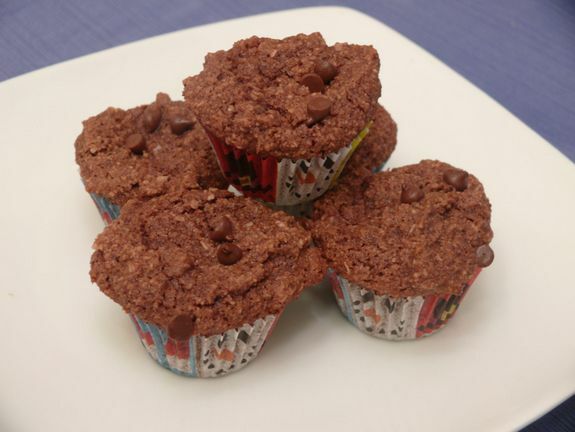 How about some gluten-free Cocoa-Nut Muffins for March Muffin Madness? That’s today’s contribution thanks to Cheryl Harris of Gluten Free Goodness. Cheryl’s “chocolaty” muffins are gluten free, dairy free, egg free, refined sugar free, and vegan, and—no surprise here—have just been added to my “must make” list! As mini muffins, they might end up more like Cocoa-Nut Bites in my house. Just sayin’. Enjoy learning more about Cheryl and her Cocoa-Nut Muffins, and see the whole line-up of bloggers, blogs, and muffin recipes here. Cheryl is another good blogger friend (and friend in real life!). She is a registered dietitian and nutritionist who lives and works in northern Virginia. 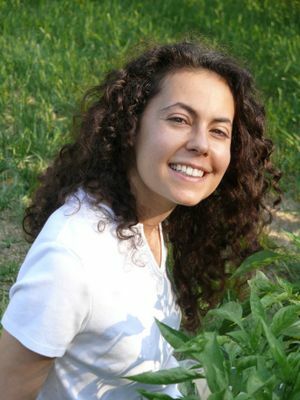 She is considered the “go-to” nutrition expert on celiac disease and following a gluten-free diet for the DC Metro area. In fact, Cheryl was selected as one of the top area nutritionists by the Washingtonian (February 2014). Long before I met Cheryl in person, she graciously shared a guest post on inflammation and healing here on gfe and later she presented to my gluten-free support group. Some of Cheryl’s best works are her videos on celiac disease and gluten-free living. They’re comprehensive and really very helpful. I’ll admit that I’m not always one to take the time to watch videos, but quite often you gain more knowledge hearing and seeing information than you do just reading about it. If you’re new to gluten-free living or feel you need a refresher, be sure to check them out. One of the things I love about Cheryl is how supportive and non-judgmental she is in her work and on her blog, as well as in real life. 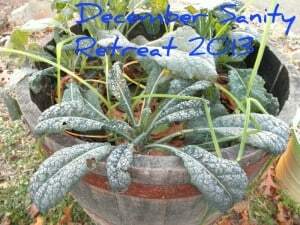 For example, twice a year, Cheryl hosts self-care retreat events (July Self-Care Retreat and December Sanity Challenge), where she leads a group of bloggers in reminding folks to take care of themselves and guiding them in different areas of their lives. The retreats include a Facebook group with daily posts and support, most of them from Cheryl. I also appreciate that she is always willing to share her own personal story in the hopes of helping others. And she never buries her head in the sand when misinformation and misdirection take place; she faces the issues head on—in a constructive way. I highly recommend the following posts from Cheryl. ~ Is Sourdough Wheat Bread Safe on a Gluten-Free Diet? ~ Resolving to Lose Weight? Aim Higher. Sometimes Cheryl makes delicious, but healthier goodies as she has for us today. Here are a few more of her simple and tasty treats. And now, here’s Cheryl telling you a little about herself before she gets to those gluten-free Cocoa-Nut Muffins of hers! 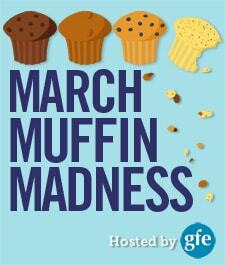 I was excited when Shirley asked me to join March Muffin Madness. I confess: I rarely make muffins. I looked back at my blog, and the last muffin recipe I made was Carrot Muffin Cakes back in 2008 when I briefly deluded myself into thinking I could eat rice. 2nd confession: I’ve never seen March Madness, and it’s not on my bucket list, either. Muffins are the closest I get. As most of you know, grain-free and egg-free muffins that are light and fluffy are pretty hard to come by, but I generally welcome a good challenge and an opportunity to play. The first several batches were quite spectacular flops, and then… magic happened. These are absolutely delicious—chocolaty, tender, moist, just enough sweet and really easy to make. Of course, I had to make them a few times just to make sure the recipe works. If you strictly avoid cane sugar like I do, make chocolate using this super-quick recipe or use walnuts alone. Delish either way! I’m curious to try them with honey. If you do, let me know! Preheat oven to 350. Measure maple syrup in a glass measuring cup, and add in the coconut cream, stevia and vanilla. Put the measuring cups in the oven while it’s heating to soften the coconut cream. Place the muffin liners in the mini pan. Stir together the dry ingredients from almond flour through salt, sifting if necessary if there are lumps. Add wet into dry and stir until combined. Mix in the shredded coconut, walnuts and chocolate chips. Fill muffin liners to the top and pop in the oven. Bake 14-15 minutes until tops are browning. Originally published March 16, 2014; updated October 18, 2017. « Over 30 Gluten-Free Key Lime Pie Recipes! These sound really good. I wonder if I could omit the stevia since I think the maple syrup should make them taste sweet enough? I have made them without the stevia and I like them but my sweet tooth hubby prefers them “with”! The maple, almond and coconut do give a good bit of sweetness. I bought some organic stevia powder hoping it wouldn’t displease my taste buds as much as the liquid one buys. So, this being a test case, what do you suppose 2 droppersful to equal – 1/2 tsp? In any case I’ll definitely be trying these soon. Pinterest Ho. I generally use 2 droppersful of stevia for about 1/4 tsp stevia concentrate. Stevia packs quite a punch! Thanks! You really do have to use a light hand. Trying these tonight! NEED CHOCOLATE! Love a grain-free chocolate muffin! Shirley, every muffin recipe you’ve posted is different and looks amazing – loving them all. Love to hear what you think, Kathryn! I’m sure corn starch is a perfect sub if you’ve got that on hand. These muffins are chockful of a lot of my favorite ingredients! Yeah, maple syrup! I’m sure that’s the proper sweetness for me. =) These sound wonderful. Perfect for a hiking snack! I need to avoid sugars as well as gluten. Could I make it with all stevia? If so, how much? If you decide to make it all with stevia, you’d need to add in something with moisture to compensate for the lack of maple syrup. Maybe a banana, maybe applesauce, maybe yogurt? I’d love to hear how it goes for you. These look great! I’ve been trying to perfect a grain free chocolate muffin recipe but just haven’t been able to get it right, thanks so much for this recipe!!! I will be trying these, most likely with honey. Let us know how it goes, Patricia! Anything chocolate is good. Intrigued to watch the video on Raynaud’s. Wow! These sound delicious, thanks! This is the first allergy friendly recipe I’ve seen for chocolate muffins – thank you! These muffins sound wonderful. Thank you for sharing! Yummy! Thanks for the recipe!!! Mmmm, these might be too rich for my breakfasts, but what a yummy snack! She sounds like the most fun girl! Can’t wait to try these! Looks good but we have chocolate allergies in our house! Oh, boo. Now I wonder if it would work with carob! Will make these as an after school snack for the kids. I’m sure they will love them! Not a fan of coconut… I could probably just skip the flakes and be okay. Sound delicious! Making them right now for the girls for an after school treat! I can’t wait to try these. I don’t have “treats” very often. Great for a chocolate fix! Healthy and chocolatey, what more can a lady ask for? These sound like chocolate without the guilt–thank you! Ok, there’s hope for me with these…no almonds allowed, so I’ll try subbing a different flour. Thanks for sharing. What could I substitute for the vanilla stevia? plain stevia is fine, and so is chocolate, or you can simply omit it. These sound good, I love coconut! I am going to use brazil nuts instead of walnuts, since I am out of walnuts currently. But they Sound to delicious to resist. These remind me of chocolate macaroons. Guess I’m going to have to try it to see if it’s close. I find macaroons to be really dense. These are lighter than macaroons. Love to hear what you think! These will be made soon. Chocolate and coconut… My jam! Wow! These looks great! Love all the nutrition associated with the ingredients! another good one to consider! thank you! Can’t have too many chocolate muffin recipes! Chocolate are always a hit in this house with 5 kids – will have to try these ones, thank you for the recipe! I’ve never used coconut cream in muffins. Must try!